A person who has a love of Australian fauna and flora, works well in a team environment and likes to get their hands dirty. This is a long term role with a minimum 6 month weekly commitment required. Level of Fitness: A high level of physical fitness is required for this role. 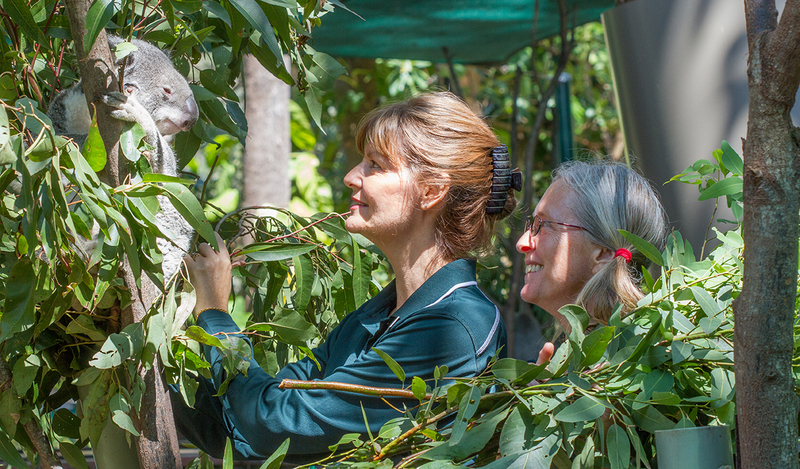 Currumbin Wildlife Sanctuary Wildlife Volunteers play a major role assisting our Wildlife keepers in the daily care of our precious wildlife collection, as well as helping to make our guests feel welcome. Wildlife volunteers work alongside our wildlife keepers on their daily rounds assisting with the cleaning and feeding of the animals in the Sanctuary collection. The range of animals in the Sanctuary is diverse and includes a huge variety of Australian native fauna and also some guest exotic species. Some of the animals that are housed at The Sanctuary include kangaroos, wombats, koalas, dingoes, emus, lorikeets, snakes, frogs and even stick insects! Cleaning the enclosures is a substantial part of this role, so be prepared for a physical day. Daily cleaning tasks in the enclosures will include raking, sweeping, hosing, scrubbing perching, de cobwebbing and cleaning windows. Refurbishing the animal enclosures and general maintenance is carried out on a regular basis and includes mulching, sanding, weeding, browse changing, painting and replacing perching. Food preparation is a large part of the role and includes chopping up many different varieties of food, washing dishes, washing water bowls, participating in feeding the animals and preparation of making animal enrichments. Assisting guests and answering general enquires regarding the park and the animals. Physically capable and able to work in an outdoor environment in all weathers with the ability to be on your feet for up to 8 hours a day with extensive walking. Capability to adapt to change and willingness to keep up to date with training. Ability to accurately follow instructions. Ability to work independently and harmoniously as part of a friendly team. Hard working and committed to Currumbin Wildlife Sanctuary. Become part of a friendly new community with over 120 Wildlife Volunteers! Enjoy new social and cultural experiences. Great opportunity to learn about a variety of plants and animals, large and small. Opportunity to gain new skills and knowledge and challenge yourself in a supportive environment. Act on your values, passions and interest. Volunteer uniform which includes a polo shirt, cap and badge. You will need to provide your own work boots with ankle support and khaki shorts or trousers. Free discounted admission to over 800 National Trust properties in Australia and Worldwide. Free subscription to National Trust of Australia (Queensland) magazine and newsletter and more. General privileges apply when you join the National Trust of Australia (Queensland) Currumbin Wildlife Sanctuary team. Please familiarise yourself with the requirements we expect of our volunteers and then follow the process to complete your online application for a volunteer position with Currumbin Wildlife Sanctuary. This is a three part application process. Once you have completed your online application, it will be forwarded to our recruitment partners at Volunteering Services Australia. Once your application is received they will phone you to come in to their office to learn more about our program. After you have met with Volunteering Services Australia and they feel the position is suitable for you, you will then be invited to a group interview at Currumbin Wildlife Sanctuary. At the interview you will be given detailed information about the program and also assessed on your ability to fulfil the requirements of the role. We want to do our best to ensure you are happy in your role and enjoy your time with us. If you are successful, arrangements will be made for you to participate in up to 4 trial shifts so you can try out the role first hand before committing to the program. 4 trial shifts will be arranged in your chosen round. The rounds are subject to availability and where possible your first choice of round will be allocated to you. The trial shifts will be on the same day, same round and where possible with the same staff member for each trial. The trials are carried out not only to find out if you are a good match for the role but also for you to assess if you would like to volunteer in the program. Placements within any Currumbin Wildlife Sanctuary volunteer program are limited and no guarantee of acceptance will be given. 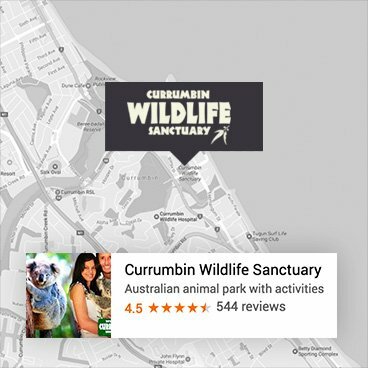 Thank you for understanding that in order to protect both our animals and sanctuary operations, only people who meet the selection criteria and program requirements can be accepted into the Currumbin Wildlife Sanctuary volunteer programs. Please note that we open and close access to this program throughout the year, as positions fill and then become vacant. If the program is currently closed, please check back again as it will soon re-open. *Please note that our volunteer programs are not currently open to international visitors.